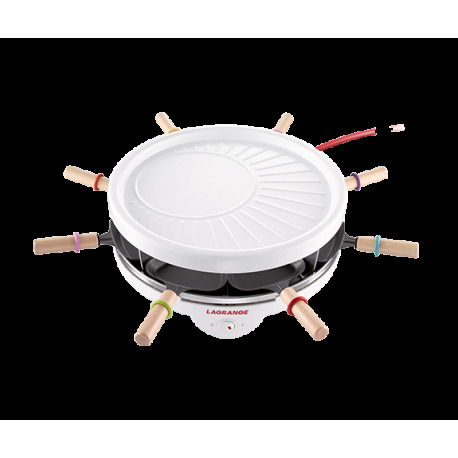 Simple to use, optimal cooking performance, convivial moments guaranteed all of our Lagrange products have one sole objective: Make your life easier! Lagrange is also committed to the quality of its products. In addition to a 2-year warranty, we offer you an additional year of protection! Simply sign up on the left menu bar in the warranty section. To replace potatoes: mushrooms, minced celery root, spinach, sliced zucchini, etc. Because it is still possible to eat raclette when we're watching our figure! When your vegetables are washed and sliced thinly, place your Lagrange raclette device on the table (sure to be the highlight of the evening). Dress plates with raclette cheese slices, sausages, raw vegetables and pickles and onions (beautiful presentation required!). 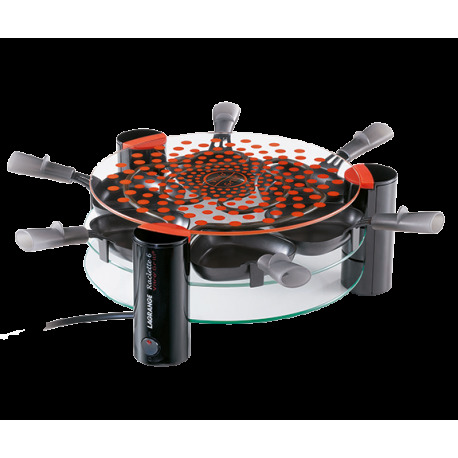 grill your bacon and slices of zucchini on top of your Raclette 6 Vitro 'Grill®. You are now ready to enjoy an evening of fun with friends and family! It seems that the website you would like to visit is not the one of your geographic area. Would you like to visit your country's website ?